Lucy's Love Bus pays for children with cancer in New England to receive integrative therapies through our Lucy's Children™ program. Click here to learn more! Some funding is available for children with cancer outside of New England who have relapsed or are transitioning to hospice. Local to MA/NH/ME? The Sajni Center is based in Amesbury, MA and weekend programs such as music & movement, aerial yoga, acupuncture, and animal therapy are open to families with children who have life-threatening illness or chronic medical conditions not developmental in nature. Learn more here! Below is a list of resources for families of children and young adults with cancer that we have found over the years. We have tried to include a brief synopsis of the support offered by each organization, and qualifications for eligibility. 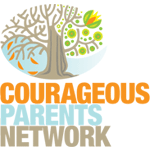 Courageous Parents Network is a destination created by families, for families, to support and strengthen them as they care for very sick children. It is about providing parents with the skills, tools and virtual support they need to cope and adapt during their child’s illness journey so as to make the impossible possible. 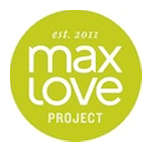 MaxLove Project is a nonprofit organization dedicated to providing families fighting childhood cancers and life-threatening conditions with accessible, practical, and kid-friendly whole-body wellness. Click here to sign up for their resources and learn more. 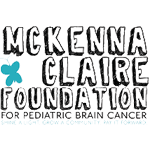 The mission of the McKenna Claire Foundation is to cure pediatric brain cancer by raising awareness, increasing community involvement and funding research. 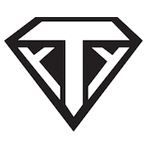 The Ty Louis Campbell (TLC) Foundation was created in SuperTy's memory to raise awareness for pediatric cancer through his courageous battle, and to help fund the progress that is being made in developing more effective, less harmful treatment for a range of pediatric cancers including brain and spinal tumors. 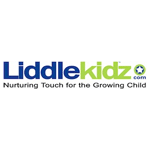 Liddle Kidz is the premier organization for infant massage and pediatric massage professionals worldwide. 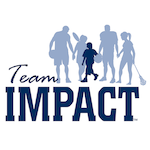 Team Impact is a nonprofit organization chartered to improve the quality of life for children facing life-threatening and chronic illnesses through the power of team. Open to children between 5-15 years of age diagnosed with a life-threatening or chronic illness that has resulted in treatment and/or extended hospital stays within the past 3 years. 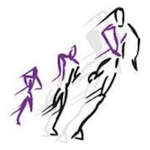 Kids are partnered with a nearby sports team dedicated to encouraging and supporting the child as a means of improving their quality of life and instilling team-building skills. The SAMFund helps young adult cancer survivors recover from the devastating financial impact of cancer treatment. Offering financial support and resources to survivors age 21-39. Dedicating to winning the fight against atypical teratoid rhaboid tumors. Camp Casco is a home away from home for childhood cancer patients and survivors. Each summer, they offer one free week of sleep-away summer camp to kids ages 7-17 in Becket, Massachusetts. In 2018 they launched their brand-new Camp Casco Day Camp Experience in partnership with LINX Camps in Wellesley, MA, for kids ages 5-10. 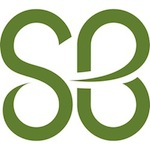 The St. Baldrick’s Foundation is a volunteer-driven charity committed to funding the most promising research to find cures for childhood cancers and give survivors long, healthy lives. 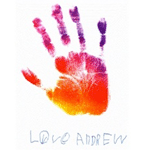 Andrew's Helpful Hands Organization is helping families going through Bone Marrow Transplant. 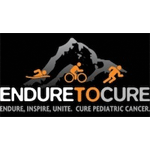 Endure to Cure's purpose is to aid the treatment and care for pediatric cancer patients, and help fund pediatric cancer research studies. A sanctuary for families with a child afflicted by cancer, offering a community of loving kindness and supportive activities to ease their experience with the disease in a peaceful, natural setting. Team Continuum is dedicated to helping pediatric cancer patients fighting all types of cancer, and to help their families minimize the burdens of everyday life by providing immediate and vital assistance for non-medical essentials so they can focus on crucial medical care. Camp Sunshine, located in Casco, Maine, provides retreats combining respite, recreation and support, while enabling hope and promoting joy, for children with life-threatening illnesses and their families. There is no cost for families to attend. All meals, lodging, on-site medical support and recreational programming are included! Travel assistance is available and prioritized for families coming to camp for the first time. 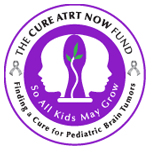 Resources for battling neuroblastoma, including funds for families and caregivers with a child currently in treatment for neuroblastoma. http://fitzgeraldcancerfund.org/ Application for funds can be found here. TSWGO’s goal is to help families with children diagnosed with cancer through financial gifts given with no strings attached. These gifts can be used for medical expenses, items needed by the child with cancer, or personal expenses due to the financial strain of caring for a child with cancer. http://tswgo.org Application for funds can be found here. For families in New England. Looking & Feeling Fab, Inc.
Offering free yoga classes for cancer patients and their caregivers in seacoast New Hampshire and Maine. Also offering scholarships to yoga teachers interested in learning oncology-specific techniques. Robbie Foundation serves children from birth to 20 years of age by funding adaptive equipment, assistive technology and therapy treatment not covered by insurance. 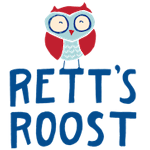 This organization advocates for early intervention and improving the quality of life for children with special needs. For families in Maine. Learn more about their scholarships here. Sister site https://cordbloodguide.com offers a free downloadable guide as well as user friendly content relating to cord blood and how cord blood banking works. This list is carefully curated by the limited staff of Lucy's Love Bus. If you would like your organization to be added to this list, you must offer FREE care or resources to pediatric cancer patients or their families. If your organization fits that criteria, please complete the request form below. We reserve the right to determine which resources are added to this page, and will add approved resources/organizations to this page in 3-5 business days. We may not be able to respond to all submissions; please check this page 3-5 business days after submitting your request to see if your suggestion was added if it fits our criteria. We do not pay for content or collaborations. Are you an employee of/paid by this organization? Does this resource provide FREE services/guidance to children with cancer and/or their families? Is this resource limited to a certain geographic region? Does this resource have age restrictions for service? Does the client have to be in active treatment in order to access this resource?